Rationale: Drugs that are self-administered appear to vary in their potency and effectiveness as positive reinforcers. Understanding mechanisms that determine relative effectiveness of drugs as reinforcers will enhance our understanding of drug abuse. 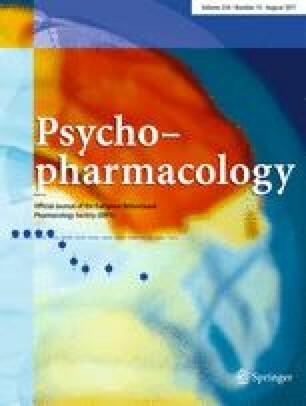 Objectives: The hypothesis of the present study was that differences among dopamine transporter (DAT) ligands in potency and effectiveness as a positive reinforcers were related to potency and effectiveness as DA uptake inhibitors. Accordingly, self-administration of a group of local anesthetics that are DAT ligands was compared to their effects as DA uptake blockers in vitro in brain tissue. Methods: Rhesus monkeys were allowed to self-administer cocaine and other local anesthetics IV under a progressive-ratio schedule. The same compounds were compared in standard in vitro DA uptake assays using monkey caudate tissue. Results: The rank order of both potency and effectiveness as reinforcers was cocaine>dimethocaine>procaine>chloroprocaine. Tetracaine did not maintain self-administration. For inhibiting DA uptake, the potency order was cocaine>dimethocaine>tetracaine>procaine>chloroprocaine. At maximum, these compounds were equally effective in blocking DA uptake. Lidocaine did not inhibit DA uptake. Conclusions: The potency of local anesthetics as positive reinforcers is likely related to their potency as DA uptake inhibitors. Variation in their effectiveness as positive reinforcers was not a function of differences in effectiveness as DA uptake blockers, but may be related to relative potency over the concentrations that are achieved in vivo. Effects at sodium channels may limit the reinforcing effects of local anesthetics.